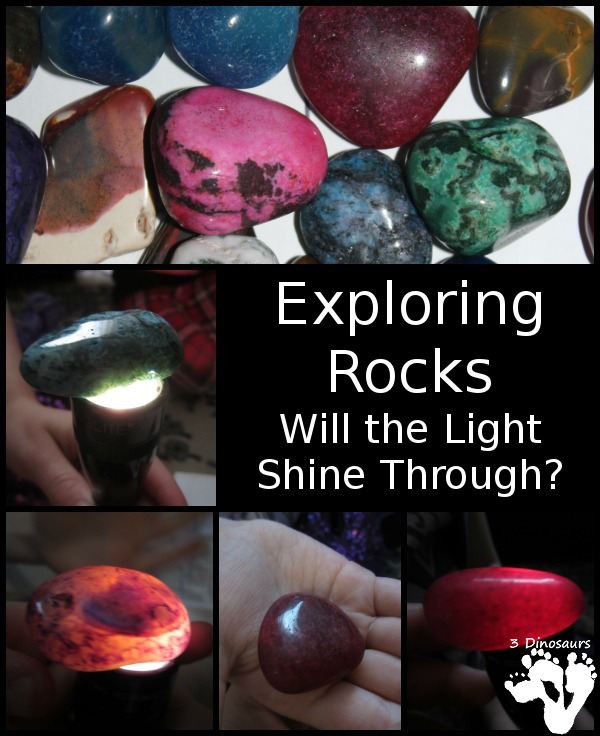 Exploring Rocks: Will the Light Shine Through? We have had so much fun playing with the rocks. We pull out the sensory bin almost every day. We looked at all the different rocks. My oldest made a comment about if light would go through them. I thought this would be a great science experiment about if they would or not. This is an easy hands on science activity with almost no prep needed for it. We had fun exploring the different rocks and learning that not all first impressions are correct. We took the rocks from our Rock & Rice Sensory Bin and sorted half of them out and picked them for our experiment. We also reread the books A Rock Can Be . 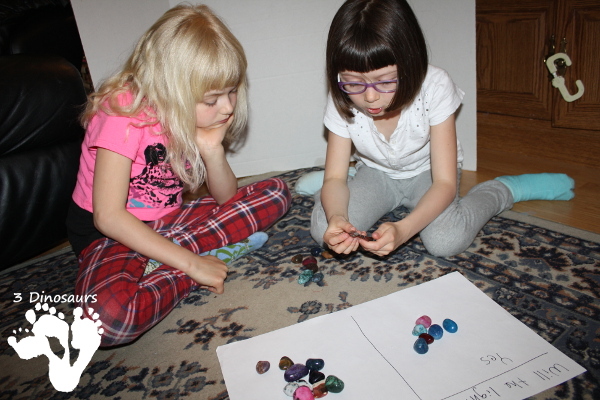 What you need for this activity: rocks, flashlight, and paper to sort them on. 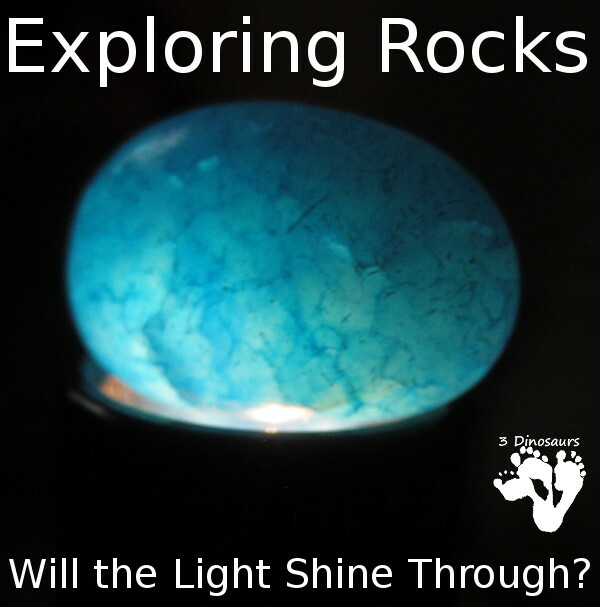 The first thing they did was take a guess as to if the light would shine through the rock just by looking at it. They had the rocks sorted. I would not let them hold it up to the light to check it. This was fun to see what they thought would and would not work. Next was the fun part of looking at all the rocks. They got some big surprises by ones they thought the light would not sight through. Here are two examples. They had tons of fun looking through the rocks! It was exciting to see how different the rocks colors were in the light and what rocks were solid but had small parts where the light would show through. This was an easy and fun science experiment to do! This entry was posted in science and tagged hands on learning, rock, science. Bookmark the permalink. 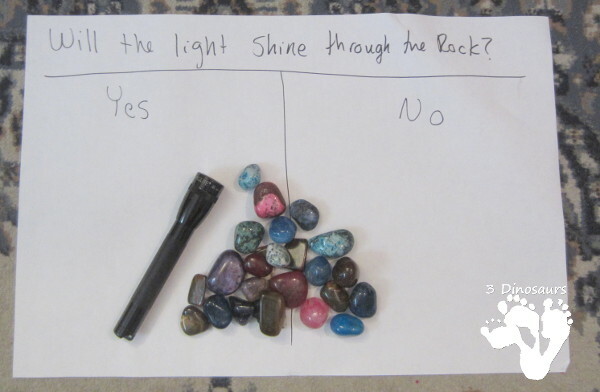 4 Responses to Exploring Rocks: Will the Light Shine Through? We did almost this exact experiment last week but we threw in some science words… translucent or opaque. 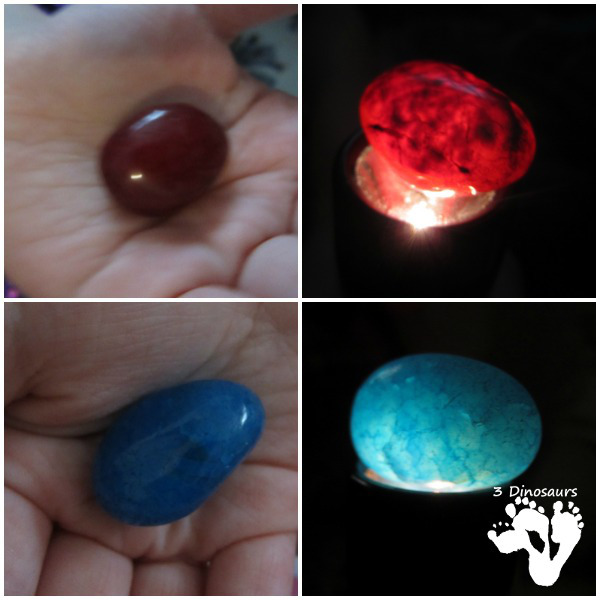 We used other objects besides our crystal and rock collection but now after seeing your pictures I want to do it again with just our rocks! We also used a flashlight to make shadows because opaque objects make darker shadows than translucent objects. For my older girls we do talk about science words. 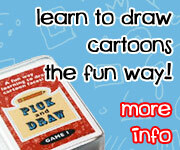 But it is fun to see what words they come up with and how they describe things. I want to see what they can describe and explain to me. 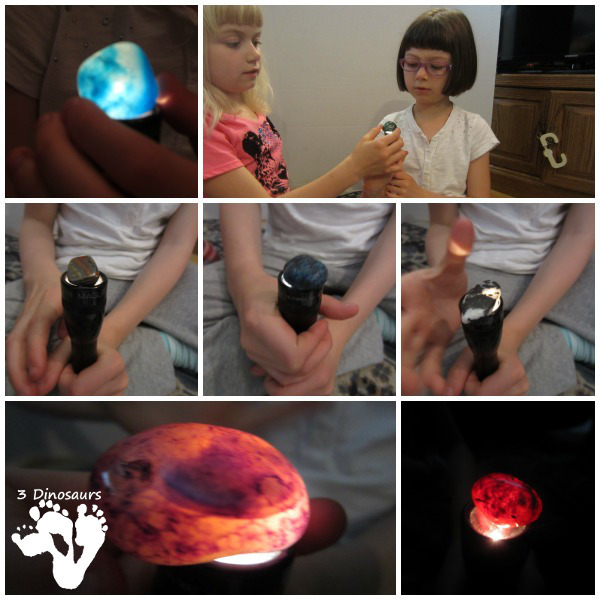 We love playing with rocks, but I never thought of using the light! We will have to give it a try.